Al Falah University participated in the 2017 NAJAH Abu Dhabi Education Fair which started today, 25th October and will last until 27th October 2017. The exhibition is a platform for institutions of higher education to inform students of the various programs and academic specialties offered. Dr. Sameer Barghouthi, Vice President for Academic Affairs, stressed the importance of the NAJAH exhibition and AFU is keen to participate annually in its activities since it represents an interactive platform between local and international educational institutions and specialized training centers and prospective students. It is also an instrument to establish cooperative relationships with other academics. AFU presented its various programs and specializations for the Academic Year 2017-2018. All programs offered meeting the requirements of the labor market. 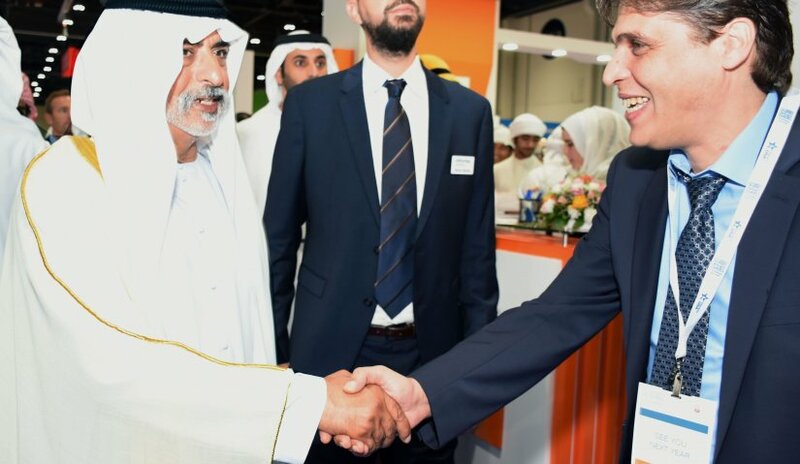 About 160 international universities from 20 countries participated in the 11th edition of the NAJAH Exhibition held at the Abu Dhabi Convention and Exhibition Center in partnership with Abu Dhabi Education and Knowledge Department and organized by Informa Exhibitions.